NERVA is the acronym for the New England Region Volleyball Association. 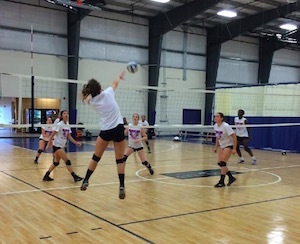 The New England Region is one of many Regions in the United States that aid in the governing of the sport of volleyball. Regional Volleyball Associations (RVAs) are member organizations of USA Volleyball (USAV). The RVAs serve as the grassroots function for USAV and individually and collectively serve as a catalyst for USAV functions. Each Region is independently operated and is lead by a Regional Commissioner. Click here to see a map of the USA Regions. Looking for more Volleyball or shopping for Volleyball stuff? Try one of the links below.